In case you haven’t been following along, The Daily Show host and political satirist Jon Stewart recently announced that he’s leaving his chair later this year, after 16 years of acerbically skewering the donkeyish behavior of the conservative media, politicians and pop-culture, much to the dismay of viewers. Comedy Central said the network plans to continue on without Stewart, prompting many fans to speculate on who’d replace him. 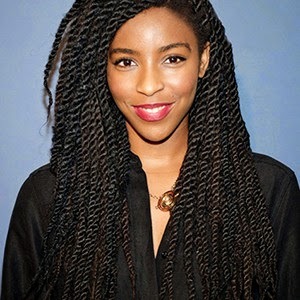 Many names have been jockeyed about (Samantha Bee, John Oliver—who already has a pretty cushy gig on HBO—and even Aisha Tyler), but the one that landed at the top of the heap was that of 25-year-old actress and comedienne Jessica Williams, who has been knocking it out of the ballpark for the past year or so as a correspondent; unabashedly tackling hot-button issues like street harassment, sexual assault, race, racial profiling, the politics of Black hair and inter-political relationships.